All of life, and even the Universe itself, is a constant movement of energy in action and interaction. What happens in our individual lives has everything to do with this flow – and we all know that at various times, it becomes stuck. It gets sticky and tricky, we find ourselves in situations of difficulty or pain and can’t imagine how we got there. Metatronic Healing brings the Divine Light that reveals and heals our core wounds; it reveals our sacred nature and divine power while it heals the frailties and fears that have covered it. 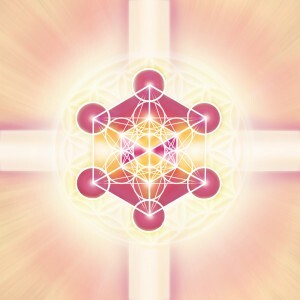 Metatron restores the flow, bringing tremendous clarity to the stuck and repeating patterns that have sabotaged our deepest needs, while softening our relationship with ourselves and others as He returns us to Love.